I wanted to share with you some of my purchases from Gencon for my 4th Ed. D&D game, with the hopes that it may help someone out there starting to play the game. 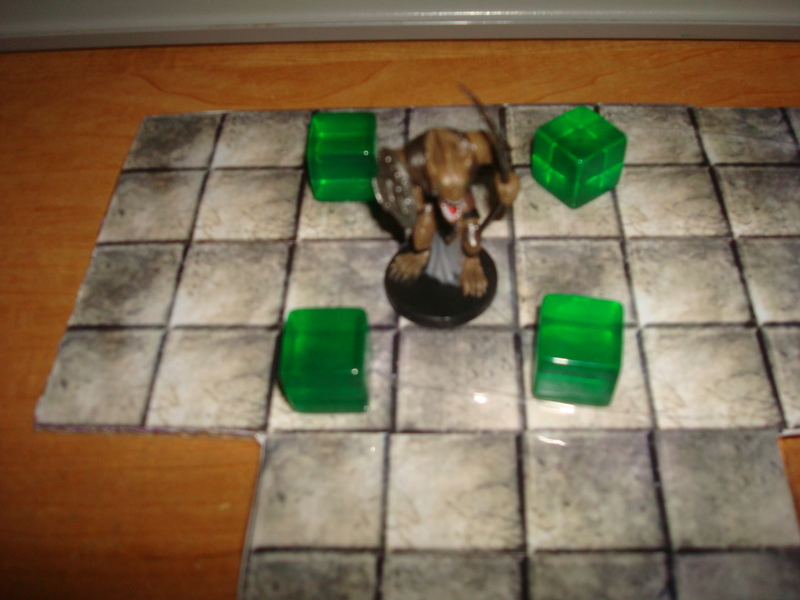 4th Ed., above all others, is in my opinion a game that lends itself very well to this type of thing, and in my game the battlemap is usually filled with little markers and such, for things like auras, walls, and the like. These guys could serve a variety of purposes. For example, I thought maybe using them for spells with wall effects would be useful. 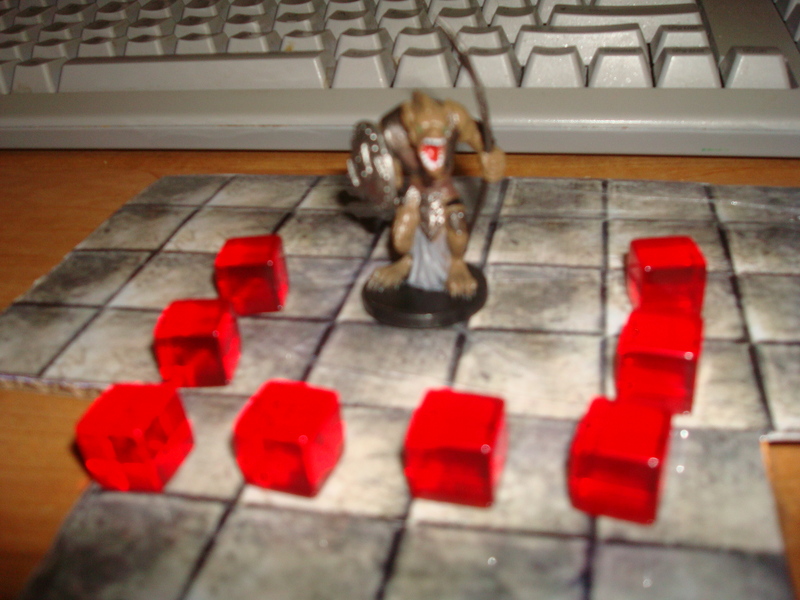 They could also double as minions in case I haven’t made counters or don’t have the appropriate mini for the encounter. I picked up these disks thinking I could use them for fighter marks and hunter’s quarry and those type of things. They could also serve as zone markers, like if an area is filled with smoke, or a stinking cloud. Perhaps you’d like to designate an area in your map as full of fog and therefore in concealment, well, you could place these down and still have space to put your minis or counters. The bag must have like 100 of these disks, and there are a variety of colors included. I thought these would be good for designating auras or zones as well, but using them in conjunction with the smaller cubes when maybe there are two different things going on and you need to tell them apart. Ah, yes. The hour glass. This guy is the implement in my new house rule. You have :30 to act, or your turn is up. Why? Well, combat is taking forever in my 7 man game, and this may be a good way to speed things up. The way I see it, in a real life combat, you wouldn’t have too much time to plan your attacks, so from now on, neither will my players. Let’s see how it goes. If you are a fan of the Alea Tools magnetic markers, this may interest you. They’ve released a new set of the peel and stick magnets, a small one made the fit the small sized minis, and a 7/8″ of an inch one that fits inside the medium mini’s base. 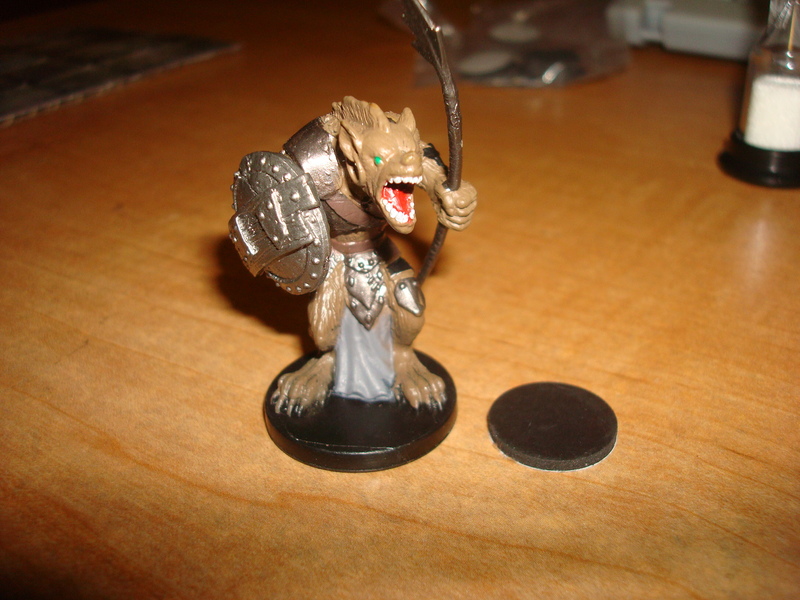 What this means is that it will not overlap over the edge of the minis base, but rather sit inside the base. The bigger ones (1″) tended to overlap by just a bit the edge of the mini and sometimes peeled off, (at least in my case). As of Gencon, they hadn’t been added to their website yet, or were in back order, but they were available in Indy and I snatched them up. So that’s it, just a few little knick knacks I picked up. There were tons of stuff for sale, but obviously, one can’t waltz in there and buy everything… I think they’ll certainly help me out at the table, but I’m curious as to what other people are using for these types of things. I look forward to your comments below. 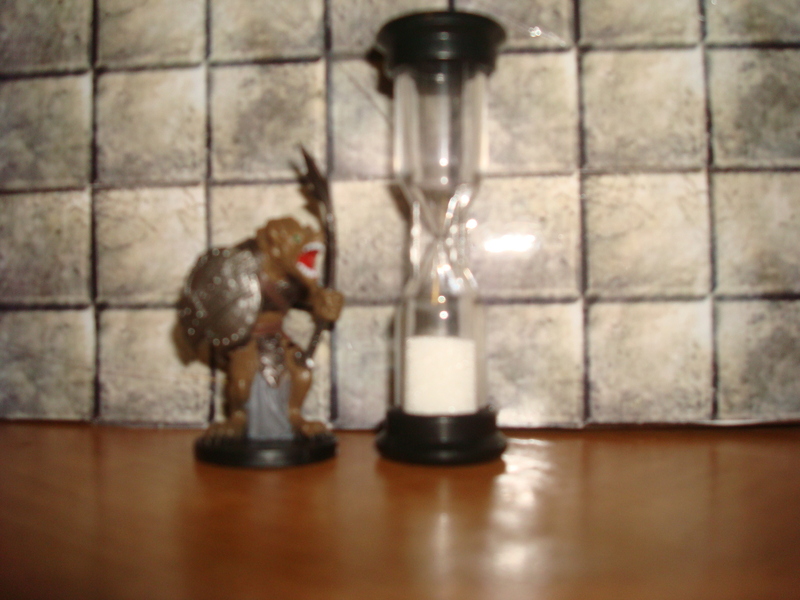 I like the hourglass idea but I’m pretty sure my players would freak out with only 30 seconds. How are your PCs taking it? Great accessories for a table-top game, Newbie. Could you please post a link to the company that makes the cubes? Those are too cool. A 30-second turn limit is probably unduly punishing to controller PCs who need to have area attacks (and thus attacks against many targets) adjudicated. Also, does the time limit get extended if the PC makes use of an action point? Michael & Scott: Note that he said 30 seconds to act, not 30 seconds to finish your turn. Basically it reads to me as a control for those players who have to weigh every possible strategy and tactic on their turn before deciding what they do. This makes it so you pre-select what you will do, and if things change drastically right before your turn, you still have 30 seconds to pull out your backup plan. @Dysonlogos is right…. the idea is that in :30 you can decide what you are going to do. 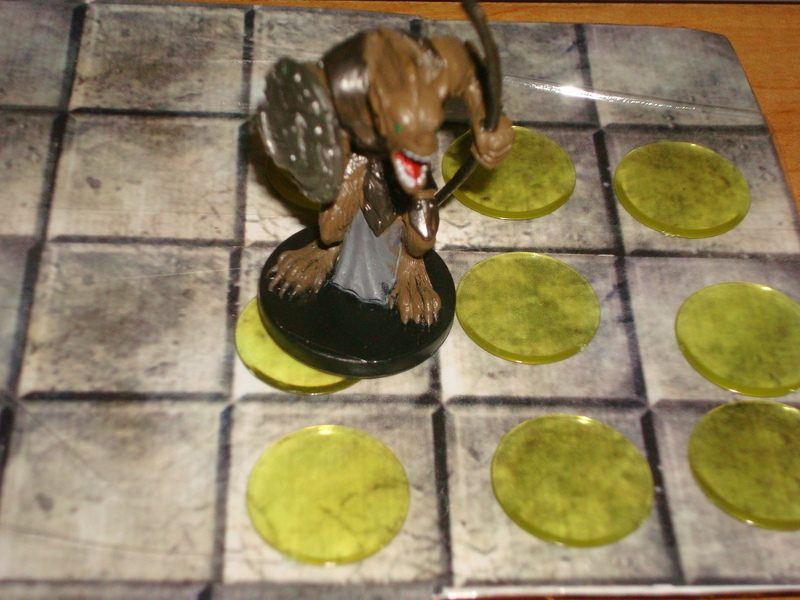 it is not meant to make the players finish his entire turn in :30, the die rolling and stuff isn’t part of it. But deciding your attack in :30, plus using the time before your turn, is plenty of time. Imagine a real battle. I’m sure it’s frantic and stressful. This attempts to recreate the feeling of urgency. I really like the idea with the clear disks. Where did they come from? Litko? Looks very promising. I havent been able to game since 3.0. Hope to join a game again soon. The wife and I miss D&D. You could have got shemtoing like yellow with green..That would look more beautiful. !